The Klarity MR Optek™ System provides the highest degree of stability for the head, neck, and shoulders. The system is ideal for treatments in a 360º arc and is dual-configured for adult and pediatric treatments. The MR Optek™ System is designed to work with all S-type masks. 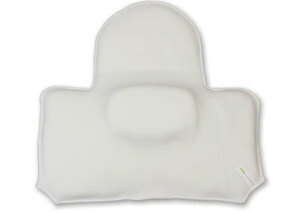 Heat-activated AccuCushions® provide neck support and additional accessories are available, such as silverman head rests, and indexing bars. The MR Optek Overlay is a comfortable and adaptable S-type Overlay for head and neck treatments. The lower portion gently tapers for patient comfort and the overlay is equipped with additional indexing around the edges. The MR Optek™ Overlay is extremely lightweight and adjustable hand grips assist with shoulder retraction. The MR Optek™ Overlay is compatible with all S-Type masks and is dual-configured for adult and pediatric patients. 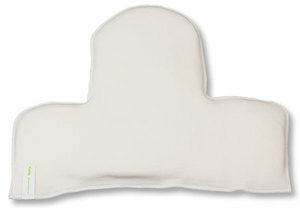 Klarity AccuCushions™ are odorless, head-activated support cushions for the head and neck. AccuCushions™ can be heated in an oven or waterbath. They offer comfortable, highly rigid, customized support. See all AccuCushions®.